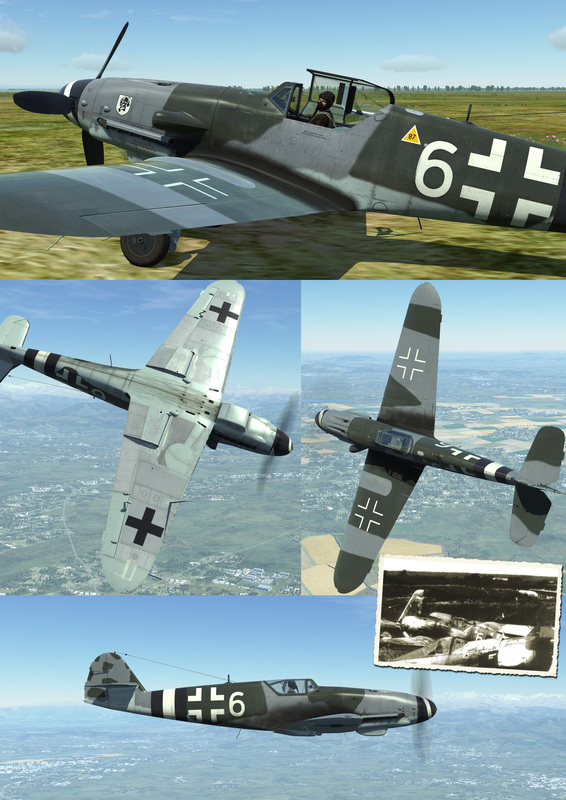 For the official release of their 109 K-4 module, ED is holding a skin contest for this event and winning works will be added to the module as liveries. My entries are three pieces of my earlier work that were in dire need of reworking in several ways. As per the rules, these do not include swastikas, but can of course be added by the user. JG 4 Knight Emblem made by SPEKTRE76 and used with permission. 1. 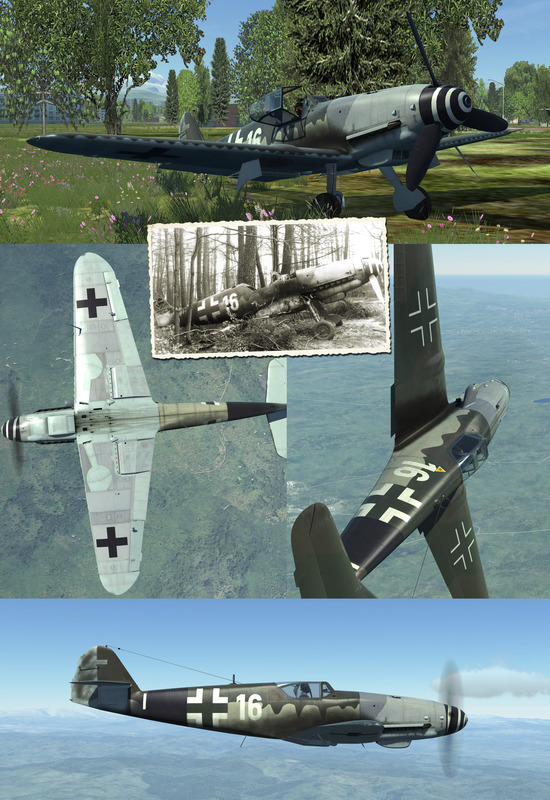 "Messerschmitt Bodenwöhr" camouflaged K-4, W.Nr. 335141, wreck photographed at Cham in June, 1945. 2. "White 6" of JG 4, wreck photographed at Fassberg in May, 1945. 3. 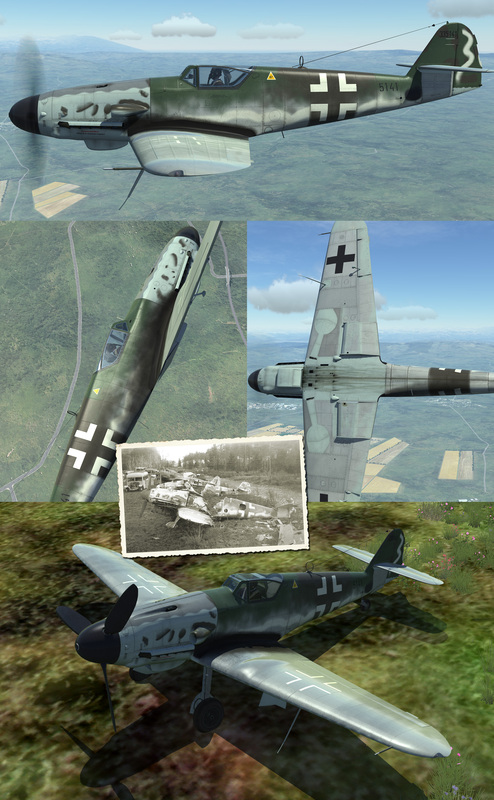 "White 16" of III./JG 53, wreck photographed at Lechfeld in the spring of 1945.